So at 8:30 last night, I shut down my work laptop for the last time for 8 whole days, and I’m now on holiday… to work at the Commonwealths. Oh yes, I really know how to take a break ;o) I do have today off specifically because I’m going to the opening ceremony though, and I have got a little sewing in (although it’s almost a bit too hot to have the iron on all the time, so I’m sewing all I can before I have to turn it on to press things, then unplugging it again!). I’ve got 2/3 of my pillowcases from my FAL Q3 list on Monday complete. It would have been 3/3, but it turned out I didn’t buy quite enough of the green voile, so I’ve had to order more in. I’ve got 7/8 of this turned into a top, but a cutting error means that one bit will find its way onto the back, while I wait for a replacement piece to come through. I’m just lucky I was able to get hold of another bit! Sweet progress! Thanks for sharing!!!! I love those bee blocks!!! Have fun at the games! 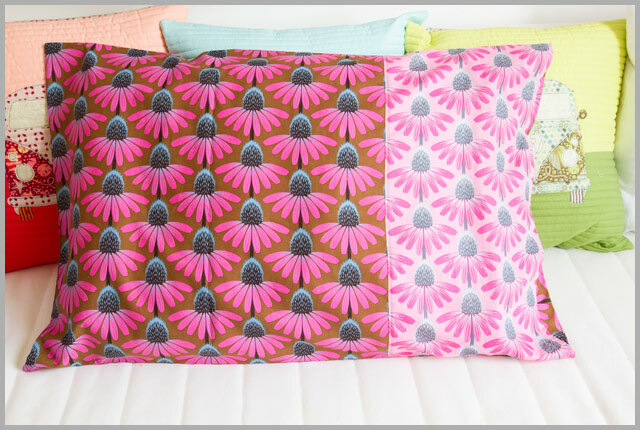 oh wow katy, those pillowcases are beautiful! You crazy gal- holidays are supposed to be for mad sewing sessions. Enjoy the Commonwealth games- I'll be looking for you and your green foam finger! 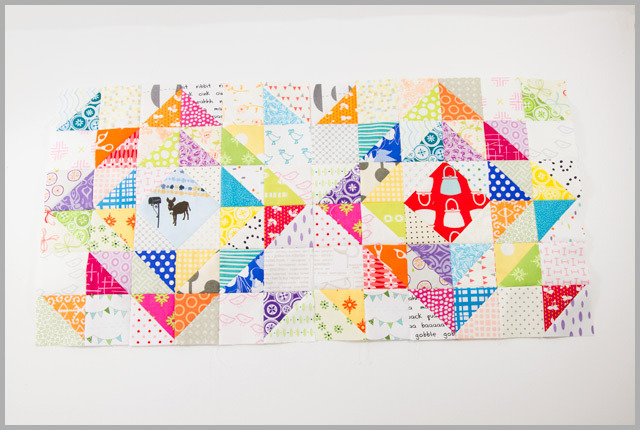 The bee blocks are fab , great colour combo – enjoy the games! I love the scrappy blocks!! And those pillow cases are so stylish! Have fun at the games , are you going to get teddy photos with every gold medalist? 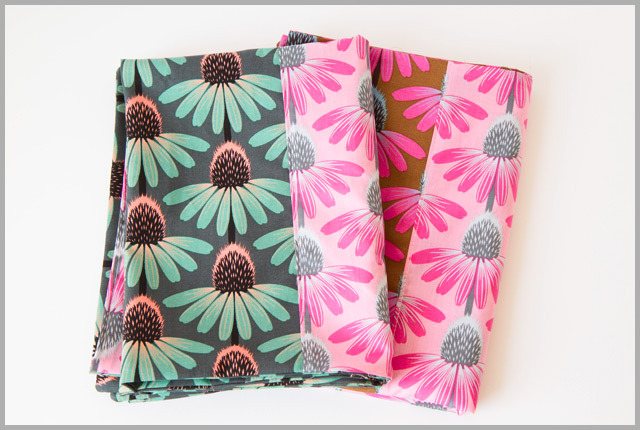 I love the fabric you are using for the pillow cases! Gorgeous! 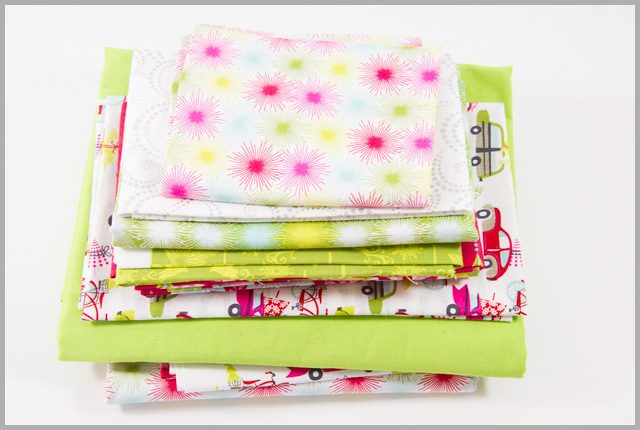 Can't wait to see the quilt top you are working on, the fabrics are quite lovely! Have fun at the games! Love your pillow cases. The print is so pretty. Enjoy the games. Very cool. I heard Rod Stewart is going to e there : ) Fun! Katy used the C word!! Really enjoyed the opening ceremony, don't avoid the cameras and we'll all give you a wave!! Have fun, I will be looking out for you just in case you can't dodge all of the cameras. I love Anneliese's blocks! enjoy your holiday! Is it just me or is everything better with a little bit of John Barrowman? And does it seem like everyone there is having a much more fun time than the Olympics? Do they ask a "Are you a nation of good sports and friendly interactions?" question before you're allowed to register? No "we must win ALL the medals" attitudes allowed! Hope you had a lovely time at the Games…! Kept an eye out for you but didn't see you on any games coverage. The Australian tv coverage was crap! We've come to expect it now. Only shows live what Australians might be good at, doesn't show sports that we may be interested in for sports sake. I love your pillow case. Very pretty.